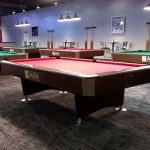 billiards, darts, ping-pong and more entertainment center. 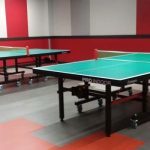 I got a sneak peek at the new facility for this review. 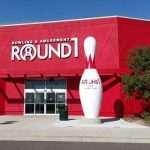 Round1 has over 25 locations (and several more opening) across the country. Great Lakes Crossing is the first Michigan host for the franchise. 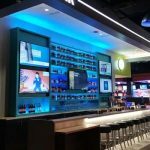 Think of Round1 as a Dave & Buster’s with a simplified restaurant menu, but with far more to do. 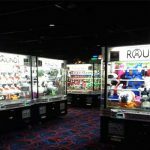 Round 1 offers a full arcade of over 250 machines, eight pool tables, 18 bowling lanes, four private karaoke rooms for the shy performers, four dart boards, two ping-pong tables, and more. 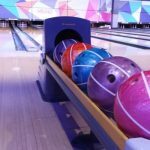 You can even purchase varying levels of membership cards to save big on bowling, karaoke, pool, darts, and more. Obviously, the more you visit, the more you save. 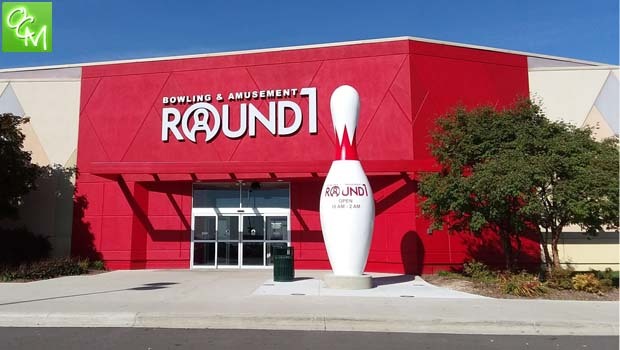 Round 1 is open to all ages with activities everyone can enjoy, but does have age restrictions that make it more attractive to adult fun-seekers… it’s ages 18 & over after 10p & 21 & over after midnight. 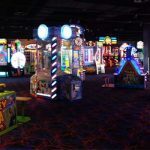 It’s easy to get lost in the fun at Round1; each section (arcade, bowling, karaoke, etc) has it’s own place so you’ll enjoy going from section to section. 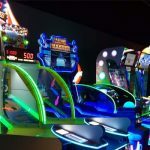 The arcade portion includes Japanese games that are popular among the big time gamers, and Round1 are the only ones in the country to have these games. Every time you wander into a new section at Round 1, you’ll want to try that activity. Round1’s only fault is, you likely won’t have time to take place in all the fun activities! 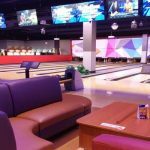 Just on my tour I wanted to bowl, sing, shoot pool, and play skee-ball. I’m looking forward to going back soon and bringing the kids on a fun Saturday, or my husband on a Date Night Saturday Night! When playing games at Round1, points are automatically added to your card. 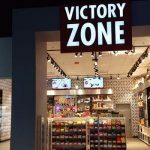 You can redeem the points for prizes at their Victory Zone shop. Prizes range from Tootsie Rolls to 4-wheelers, and everything in between. The Round1 restaurant is a walk-up style where you can order at the counter and bring your food back to the table. They offer pizza, sandwiches, appetizers, and desserts. The bar offers beer and wine. 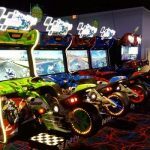 Round1 offers corporate parties, kids birthday parties, and hosts parties for school outings.